This week’s blog is the first in a series introducing staff who have recently arrived at UWTSD. The first blog is on Dr Shadaab Rahemtulla, who joined the Faculty of Humanities and Performing arts this semester. My research focuses on “liberation theology”. 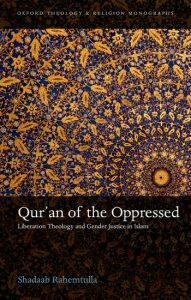 This is an approach to theology that asks the following core question: how can religion be (re)interpreted in order to speak to the problem of social injustice, to the practices of exploitation and oppression that affect people on an everyday basis? In order to be genuinely inclusive, moreover, liberation must be conceptualized in a comprehensive and holistic manner, including various categories of experience, from gender and sexuality to race, class and age. At UWTSD this semester I’m teaching a second-year undergraduate module called “Political Islam”, which gives a critical overview of the founding thinkers of modern Islamist thought. This coming fall semester, I will be co-teaching a first year undergraduate module – “What is Theology?” – and will also be offering a third-year module on liberation theology titled, “Liberation in World Religions”. As the name suggests, we will be exploring liberation theologies in multiple religions and varying geographic contexts, including Latin American Christianity and South African Islam. I’m a Canadian from the beautiful city of Vancouver. I received my undergraduate degree in Islamic history at Simon Fraser University in Vancouver and my master’s in Islamic thought at the University of Toronto. I then travelled to the UK, completing my doctorate at the University of Oxford in 2013. I spent the next three years teaching at the University of Jordan’s School of International Studies in Amman. This was a graduate faculty, and I taught in the Master’s of Human Rights program, offering coursework in Islam, human rights and qualitative research methods. Most recently, I spent this past fall semester as a Visiting Scholar at Columbia University in New York. What sparked your interest in your research area and specialism? I can’t pinpoint a particular “spark”, but I will say that I have two callings that have always been closest to my soul: social justice and faith. I am someone who believes, deeply, in the notion of us being a society, and that social inequality and exploitation are fundamental problems that jeopardize the wellbeing of that society. At the same time, I am a person of faith (specifically, I’m a practising Muslim), and when I read religious texts, whether the Qur’an or the New Testament, I see a strong underlying message of compassion with the poor and marginalized. 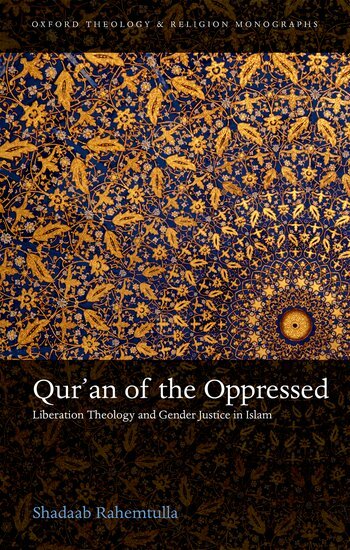 It is this dual commitment to justice and faith that has sparked and sustained an abiding interest in liberation theologies, including feminist, queer, Black, post-colonial and environmental theologies. How would you like your subject area to develop in the future? When I look at the existing scholarship on justice-based theologies, I am in awe of its sophistication, its courage and its creativity. But what I would like to see now is the dissemination of that research outside of the academy (outside of university lecture halls, seminar rooms, conference walls and the pages of journals) and into the rest of the world. I would like to see progressive and inclusive theologies mainstreamed into popular and everyday spaces, which can be done through public lectures, the arts (music, spoken word, story-telling), and in general by making our teaching and scholarship as accessible to the public – to society – as possible. Need email address of Dr. Shadaab.